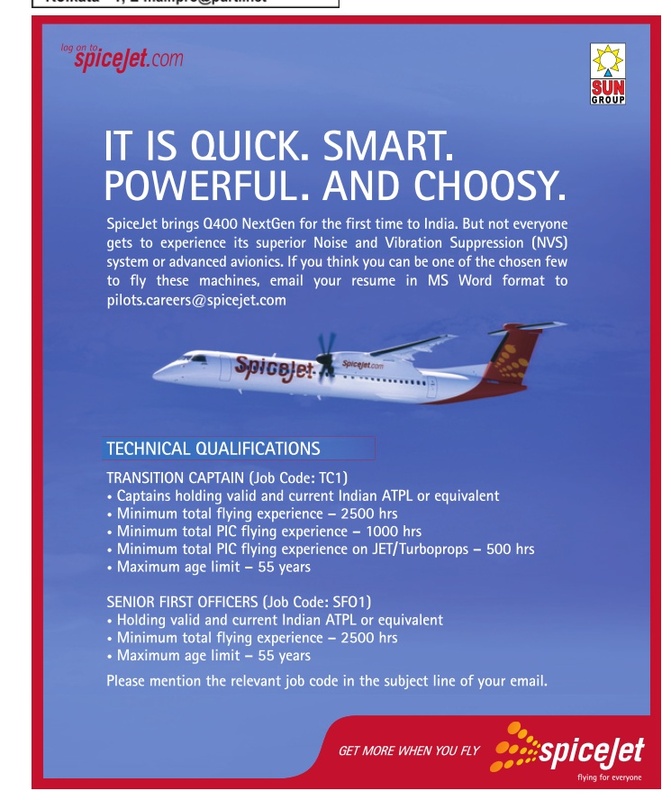 SpiceJet brings Q400 NextGen for the first time to India. But not everyone gets to experience its superior Noise and Vibration Suppression (NVS) system or advanced avionics. Please mention the relevant job code in the subject line of your email.